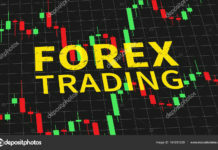 Home TRAVEL & WEALTH WHAT ARE FOREX PIPS? 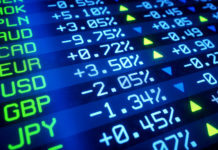 A pip, short for point in percentage, is a very small measure of change in a currency pair in the forex market. It can be measured in terms of the quote or in terms of the underlying currency. A pip is a standardized unit and is the smallest amount by which a currency quote can change. It is usually $0.0001 for U.S.-dollar related currency pairs, which is more commonly referred to as 1/100th of 1%, or one basis point. This standardized size helps to protect investors from huge losses. For example, if a pip was 10 basis points, a one-pip change would cause greater volatility in currency values. The effect that a one-pip change has on the dollar amount, or pip value, depends on the amount of euros purchased. If an investor buys 10,000 euros with U.S. dollars, the price paid will be US$12,908.22 ([1/0.7747] x 10,000). If the exchange rate for this pair experiences a one-pip increase, the price paid would be $12,906.56 ([1/0.7748] x 10,000). In that case, the pip value on a lot of 10,000 euros will be US$1.66 ($12,908.22 – $12,906.56). If, on the other hand, the same investor purchases 100,000 euros at the same initial price, the pip value will be US$16.6. As this example demonstrates, the pip value increases depending on the amount of the underlying currency (in this case euros) that is purchased.